Top features:- An easy and fun way to prepare fresh healthy meals - Easy to clean under running water - Keep your kitchen tidy with built-in cord storage An easy and fun way to prepare fresh healthy mealsPrepare healthy and nutritious meals within seconds. The Morphy Richards 432020 Spiralizer Express cuts vegetables such as courgettes into fun spiral and spaghetti shapes using two interchangeable steel blades that help you add variety to your meals.It's perfect for encouraging children to eat their greens.Easy to clean under running waterCleaning your Spiralizer is easy, too. Simply rinse either of the two supplied stainless steel blades under running water. The Spiralizer Express makes cooking and cleaning up afterwards easier.Keep your kitchen tidy with built-in cord storageBuilt-in cord storage allows the power cable to be neatly stored inside the product base for a tidier kitchen worktop." We've found the Morphy Richards 10148984CUR once in our price comparison database. The price and product description is displayed. Prices include delivery charges as notified to us by the suppliers. Click the "buy now" button to open a new window and get more information from the supplier or to purchase the Morphy Richards 10148984CUR. * The prices displayed are the latest ones that we have obtained from the suppliers and we have highlighted the cheapest that we are aware of. You are advised to confirm prices and delivery charges with the supplier before purchasing. 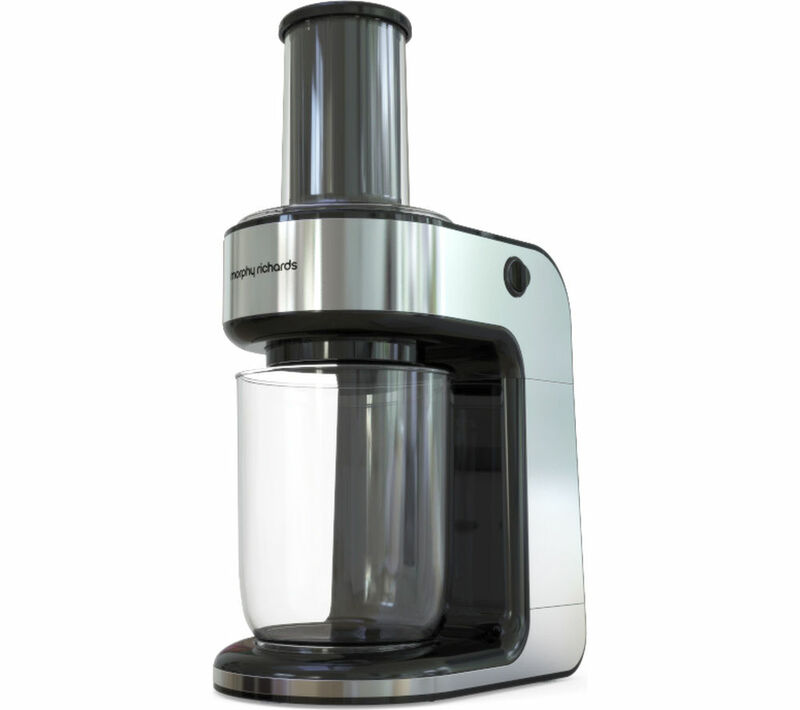 Morphy Richards MR 501021soup maker from £41.49. Introducing the Compact Soup Maker from Morphy Richards. The fuss-free way to make delicious soup, just the way you like it. In as little as 19 minutes, you can be sitting down with a bowl of fresh, homemade and nutritious soup. Dualit Vario from £18.50. Make light work of lunch and snacks with this accessory for toasting sandwiches. Suitable for use with your two, three, four or six-slice Dualit Newgen toaster. Chrome-plated. Not dishwasher safe. The shops below are the suppliers of the products in the Food Processors department.